Valve must be sleeping poorly these days. Steam is still king of PC gaming at the moment, but it’s an increasingly belabored kingdom beset on all sides by would-be rulers. 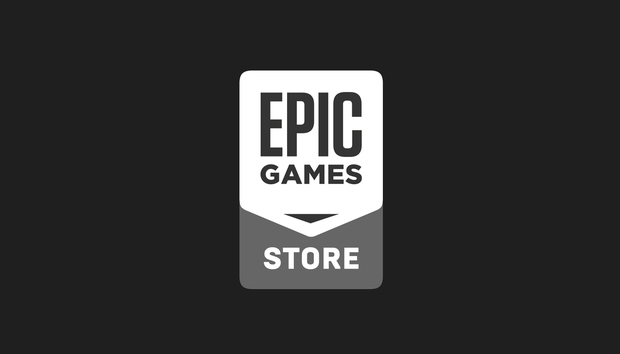 Today presents perhaps the strongest challenge yet: Epic, flush with Fortnite cash, will open its own storefront in the near future. It’s cross-platform, cuts developers a much better deal, focuses on discoverability and communication from the get-go, and of course ties in with Epic’s work on the Unreal graphics engine. We’ve seen plenty of Steam competitors over the years, but this is the first one I’d call a true threat to Valve’s dominance. I’m going to take a bit to recap the story as it stands, but if you want to know how this affects you feel free to skip ahead to “Part 2” where we lay out what this means for the future. Valve got complacent. If you want to know why Epic is a threat you need to know how Valve’s fallen, and it starts with complacency. Every David and Goliath narrative needs an explanation and the explanation here is that Goliath, in his arrogance, stabbed himself in the foot. Which is to say: Revenue share has been a touchy topic with Steam for a while now. For years Valve’s taken a flat 30 percent cut of all revenue earned on its platform, leaving developers with 70 percent. This made sense (of a sort) in the old days. It was a better cut than developers generally earned from physical retail, and Valve also worked to curate Steam, to make sure only the “best” games made it onto the store. Between that, server costs, customer support, and so on? 30 percent seemed justifiable. But then Valve stopped curating Steam. Steam in 2018 is a lawless deluge of garbage mixed in with a few fantastic games, and trying to distinguish between the two is like using a tennis racket to separate salt from the ocean. Discovering new and interesting games on Steam these days, especially indies, is nearly impossible, and the question arose: What exactly is Valve doing to earn that 30 percent revenue cut? But there might be somewhere for them to go soon. Enter Epic, who on Tuesday announced the Epic Games Store. And its leading feature? A 12 percent revenue cut for all games. No matter what you make, no matter how many copies you sell, you take home 88 percent of revenue on Epic’s platform. The deal gets sweeter. If you’re using Epic’s Unreal Engine, the accompanying 5 percent license fee gets bundled in that 12 percent for any purchases on Epic’s store. That means on Steam you’d be giving away 35 percent of your revenue—30 percent to Valve, 5 percent to Epic—but on the Epic Games Store you’d still only lose...12 percent. That’s a lot of numbers, I know, but this is a huge deal. Unreal Engine is the most important third-party engine in the video game industry today. Some larger companies use their own homespun engines, e.g. EA and Frostbite, but generally Unreal is the default licensing option for games both big and small. Just this year, for instance, Unreal was used in games as different as Life is Strange 2, Darksiders III, A Way Out, State of Decay 2, Spyro: Reignited, and Bard’s Tale IV. It’s pervasive. Let’s take a look at the publishers behind those games: Square Enix, THQ Nordic, EA, Microsoft, Activision, and (as of last month) Microsoft again. If they can earn 88 percent of revenue on Epic’s platform? And their Unreal licensing fees are bundled into that amount, further sweetening the deal? Suddenly Steam’s peace offering of 20-percent-once-you’ve-crossed-a-certain-sales-threshold looks even more paltry. Not to mention the other features Epic highlights in its announcement: Developers having more control over their store pages, with no store-placed ads on game pages, no paid ads in search results, support for Unity and other non-Unreal engines, and the ability to message players or even email them if permission’s given. It’s a lot. Other publishers have tried to divorce Steam, most of them unsuccessful. Which is not to say that Epic’s going to win this war. It’s an attractive-sounding offer on paper, but we haven’t seen the store yet. Just last week I wrote about Bethesda.net and all the various ways it sandbagged the Fallout 76 launch, and recapped the mistakes other Steam competitors have made in the past. Historically, Steam’s competitors are their own worst enemy. Epic has a lot of money though, and a lot of eyeballs. Fortnite is the largest game in the world right now and it’s not even close. At one point this year Epic touted 78 million monthly active users—for one game. By comparison, Steam in the same window had 90 million monthly active users across its entire library. It’s not a perfect comparison. Epic’s users span three consoles and phones as well. 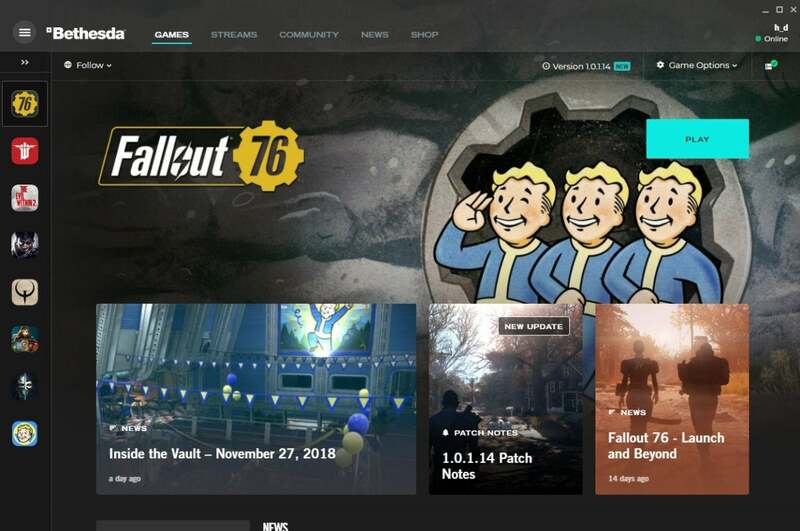 But the point is, an Epic Games Store could reach a ton of people, many of whom might have gotten into gaming because of Fortnite. Those people have no Steam allegiance, and thus no reason to be wary of a competing launcher. 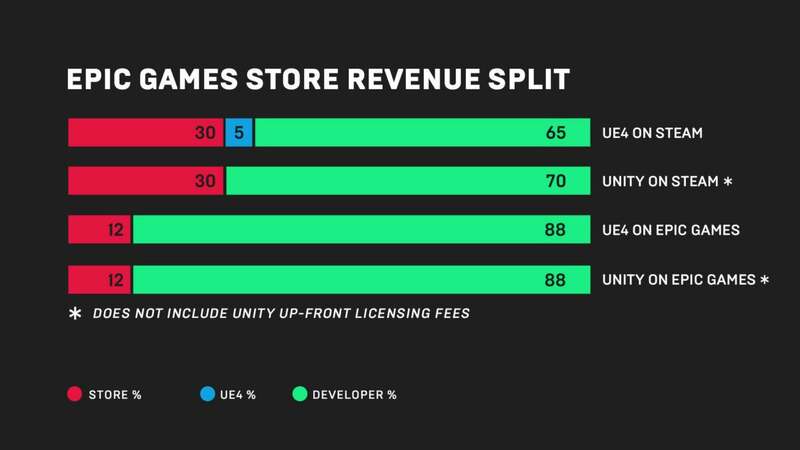 The Epic Games Store could be their first exposure to a wider world of gaming, from big-budget fare like say Hitman 2 all the way to smaller indies like Celeste, Return of the Obra Dinn, or The Haunted Island. 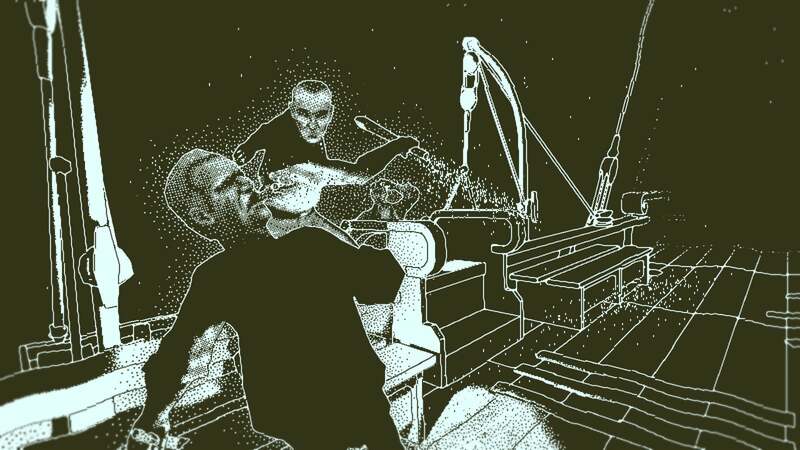 Return of the Obra Dinn is one of 2018's best games. It could also mean cheaper games for you—or, more likely, stave off an increase in game prices. Development costs have skyrocketed this generation, and we’ve seen the results in expanded microtransactions, loot boxes, and other games-as-a-service “features.” There’s also been a commensurate call for the death of the $60 game price, with $70 or even $80 being cited as a new standard. A price raise might be inevitable, but Epic taking a mere 12 percent of revenue (again, including Unreal licensing fees) could stave it off for a few more years. You won’t necessarily notice the change on your end, but it could make a difference regardless. There will be growing pains, of course. I have over 2,000 games in my Steam library. More than most, I understand the investment some PC gamers have made in Valve’s platform, and why they might be reluctant to switch. I’ve seen plenty of Steam “competitors” arise over the years, and I’ve watched them fall, unable to convince players to break from their past investments. But Epic doesn’t need to convince players, per se. It only needs to convince developers. EA’s storefront succeeded because it gave no alternative. You either play EA’s games on Origin or you don’t play them at all. Epic doesn’t make a ton of games—but it’s made an attractive offer. If enough developers decide the grass is greener on Epic’s platform, we could see a slow trickle and then an eventual exodus. What would it take, for you? If Obsidian’s new game is exclusive to the Epic Games Store, would you switch? If the new Doom is exclusive, is that enough? What about the next Hitman, or Deus Ex, or Psychonauts 2? And how long until your Epic Games library is about the same size as your Steam library, until you start making purchases on Epic’s platform by default? It’s not a given. Epic has a lot of work to do to make this future viable. But for once, it feels like Valve has some real competition—and that’s always a good thing for consumers.